Lucky Voice’s Holburn site in London is due to become home to the company’s largest venue. 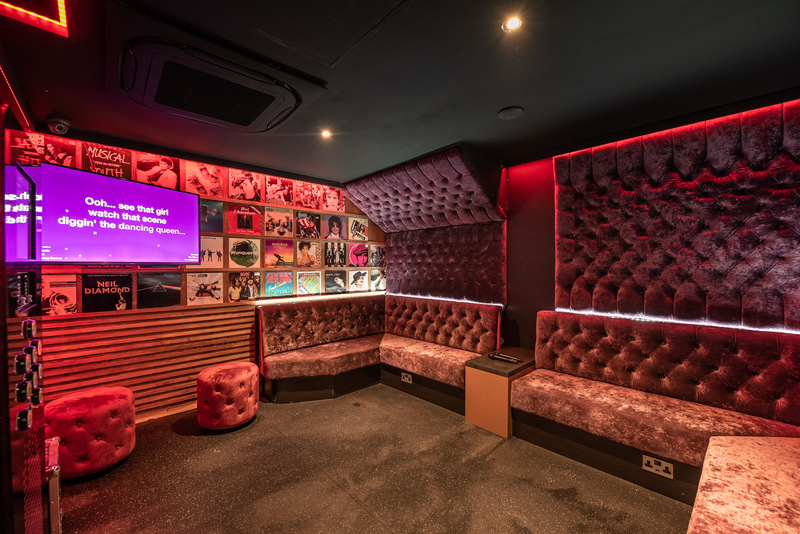 Private karaoke company Lucky Voice is about to launch an addition to its portfolio, with acquisition of a new venue in London’s Holborn. The company (which already has three owner-operated venues in Soho, Islington and Brighton) will open its fourth site on Chancery Lane, late February 2019. The venue (which has a square footage of 5,000) will be home to the company’s largest VIP karaoke room, for over 25 people. It will have a late license until 3am on week-days and 4am at weekends, making it a new significant late night destination in the ever-evolving midtown area of the city. Lucky Voice worked with award-winning commercial property advisory firm DeVono Cresa to source the site. Close to Holborn, Chancery Lane and Farringdon stations, the new site puts Lucky Voice in the heart of a flourishing central location, catering for the growing numbers of creative industries that have joined the long-standing law firms in the area. The location’s popularity is set to develop even further when the Elizabeth line arrives next year. Aside from celebrations such as birthdays and hen nights, Lucky Voice has always been a strong draw for the post-work crowd. With the advent in revellers seeking experiential nights out, this looks set to continue. The combination of private karaoke with drinks delivered to the room at the touch of a button has helped the company sales increase by 20% yoy for the last five years. Additional hooks (such as dressing-up props, games, an extended food menu and a multi-language playlist of over 9,000 songs) has also allowed for growth in the face of reduced alcohol consumption amongst Millennials. Lucky Voice has engaged respected agency CT Creative to oversee the design of the new venue. The company is highly regarded, with an extensive client portfolio of high-profile London businesses, from Inception Group-owned Mr Fogg’s Tavern to Mahiki (which licenses Lucky Voice technology for its own karaoke room). Work will shortly begin on creating a ‘look and feel’ to cater for the local demographic. 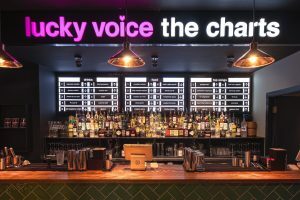 Lucky Voice plans to invest over £1.5m developing its first new site in London for a decade, following a hiatus to develop its online karaoke and franchise offerings. The new venue marks the latest milestone in a period of development for Lucky Voice, with the refurbishment of its Islington venue and the launch of a Dubai franchise taking place over the last year. The Dubai venue was the fifth franchise for the business, and marks the first venue of a new period of expanding its owner-operated portfolio in the UK. The company plans a further London site for 2019, and other major UK cities in the coming years.